Based on the structural elements of bioactive 3-substituted indoles, a new series of indole–thiosemicarbazone hybrid derivatives were designed, synthesized, and well-characterized using different spectral techniques. The intended scaffolds were screened for their in vitro anti-proliferative activities against breast cancer (MCF-7), lung cancer (A-549), and liver cancer (Hep-G2) cell lines, as well as their anti-oxidant properties. Cytotoxicity studies revealed that compound 6n was the most potent, at least threefold more potent than the commercially available reference drug etoposide, against A-549. In addition, morphological analysis by the acridine orange/ethidium bromide double staining test and flow cytometry analysis confirmed induction of apoptosis in the A-549 cells by compound 6n. In order to validate the experimental results, molecular studies were performed to achieve the possible binding interactions of the most potent compound (6n) and colchicine with tubulin as well as ANP with ATPase domain of topoisomerase IIα active sites. Moreover, the radical scavenging potential of the final derivatives was found to be excellent with the range of 0.015–0.630 µM, comparable to the standard ascorbic acid (0.655 µM). This paper is dedicated to the memory of our wonderful teacher in Chemistry and Medicinal Chemistry, Professor Abbas Shafiee (1937–2016). 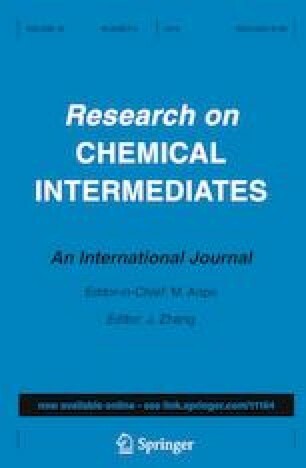 The online version of this article ( https://doi.org/10.1007/s11164-019-03765-9) contains supplementary material, which is available to authorized users. This work was supported by Grants from Isfahan university of Medical Sciences and Tehran University of Medical Sciences.